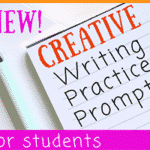 Preparing to teach a creative writing class? Before you dive right in and start doling out journal prompts and story-starters, it’s essential to make sure you’re truly ready to begin teaching your students about the merits and value of creative writing. Use these five simple strategies to get yourself prepared to bring more creative writing practice into your students’ everyday lives. First things first—before you begin teaching creative writing, you should prepare plenty of material and writing prompts to share with your class. It is a good idea to prepare at least twice as much material as you think you might need before starting class. Some kids will launch right into their work with a simple writing prompt, but others will need a different starter or some additional motivation to truly find their inspiration. 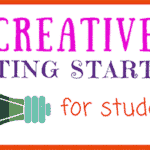 At the very beginning of class, help your students get ready to write by starting out with some brainstorming activities. A simple, five-minute exercise like writing about a favorite book character or describing what you did last Saturday can be the perfect way to get the creative juices flowing. Brainstorming activities don’t have to be anything overly complex or even related to the day’s writing prompt—they just need to encourage your kids to forget about any blocks they may have and immediately put their pencils to paper. After everyone is done writing, allow some time for students to share their work if they so choose. For many students, the opportunity to share their work with the class is a great motivator to write something interesting and creative. Other students who may feel uncertain about their work will perk up and realize how many different ways there are to complete the assignment when they hear their classmates reading their own writing. Of course, keep in mind that not all students will want to share, and that’s okay—creative writing can be a very personal experience, and students shouldn’t be forced to share their work if they prefer to keep their writing private. Are there a few students in your class who continue to sit slumped over their desks, looking exhausted when all they’ve written so far are their names? It could be time to switch up the creative writing experience. If your classroom is conducive to it, allow students to get up and move around before they begin writing. Though students should stay in one place once writing time has begun so that they don’t disturb their classmates, allowing kids to sit on the floor or curled up in a reading corner with their notebooks is a great way to encourage creativity and to get students interested in writing time. 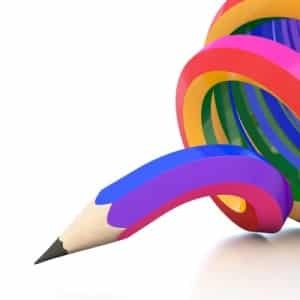 Creative writing should be a very fluid exercise—and as such, it’s important to be flexible in your requirements and expectations. Some kids will immediately take to the given assignment and will have no problem meeting the requirements you’ve set out. Others might have trouble finding inspiration in whatever the rest of the class is working on and prefer to write about other topics. 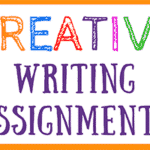 The most important part of creative writing practice for students is to get them writing on a regular basis and to hopefully capture their interest in all that writing has to offer. Allowing kids to fine-tune their assignments and to write about the topics that interest them most will keep them engaged and excited about creative writing.